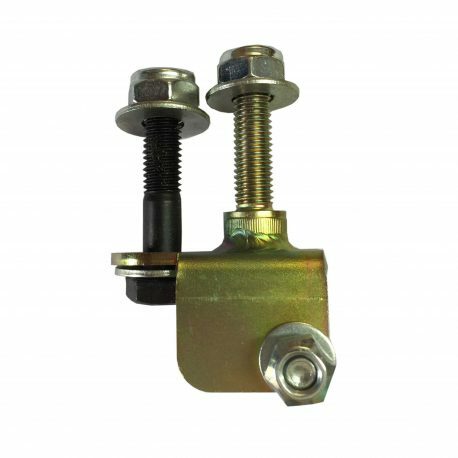 View cart “STEERING DAMPER” has been added to your cart. At last ! Feel safe driving your bus. Junk that 100 year old technology and say good by to boat steering. We offer the most precise steering you can imagine. Wives and girlfriends, its your turn to drive ! 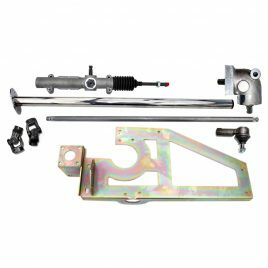 Our rack and pinion conversion kit is designed to replace your old worn out steering box and give your bus the feel of a modern car. Several years of development have gone into this kit to make it the safest and best designed conversion in the world. After testing many production car racks and having several “specials” manufactured for us, we decided the only way to get a perfect product was to design our own rack to fit within the confines of the vehicles chassis without any modifications. It had to be manufactured to the highest quality for safety and performance, so we asked the countries top specialist rack manufacturer who’s clients include McClaren, Caterham as well as many of the Europes top motor sport teams. The result is a rack that will give you incredibly responsive steering with minimal slack. With a carefully selected ratio, you will discover the slightest movement of the steering wheel will give immediate response at the wheels. If your bus is lowered, you’ll appreciate the added bonus that this system is positioned higher in your chassis than your old box giving you over 50mm greater ground clearance. 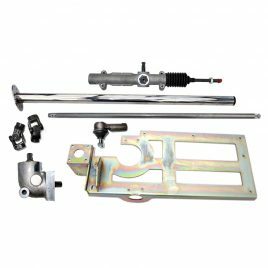 The kit is a bolt in application requiring only a small amount of trimming to the chassis for clearance and five 8mm diameter holes drilled. No welding is required and installation should only take approximately four hours. We include photographic step by step fitting instructions. Although not difficult, we do advise that installation is only carried out by an experienced automotive engineer. 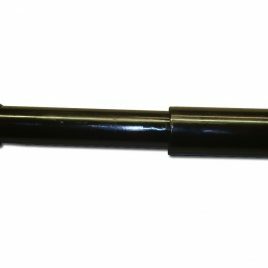 - Stainless steering column with needle roller exceeds OE spec. * You will need to use a separate dash mounted horn button as it is not possible to run the horn cable inside the steering column. SOLD OUT Call or email for details Our Barn Door Rack & Pinion Kit is basically the same kit as used on standard 54-67 Splitscreen buses but with a modified mountiing plate and new central steering boss. The new central steering boss allows you to do away with the side steering and convert to a later style layout. You will need two of our new narrowed tir rods to complete your conversion. Minor trimming of the chassis crossmember is required for clearance of the new central steering mount. DAVE'S TIP Many Barn door owners have asked how we tackled Bob and Julie Copleys Barn Door panel Van Although we did not have our Steering Kits back then, we made the following changes. We retained the Barn door front beam but installed a central steering boss. We replaced all 4 trailing arms and spindles for later Split items allowing the fitment of a CSP front disc kit.